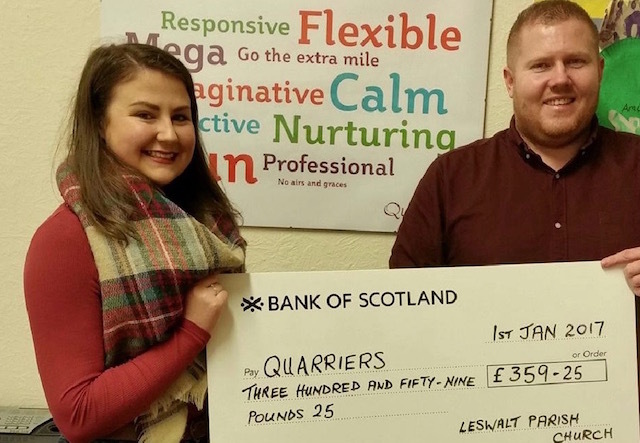 Leswalt Parish Church runs an annual Auction and a Sponsored Walk, both of which raise funds for the Church to enable us to make our presence felt in the community. Due to the success of our fundraising ventures and the generosity of our congregation, our finances are in a healthy position. To raise money for charity, we have special collections at Harvest and Christmas and all money from the Christmas carol singing is similarly earmarked. Each year, we raise more than £1,000 for charities through collections at Harvest, Christingle and carol singing. The Gift Aid Scheme is well supported and tax recovered from HMRC makes up about 15% of our income. We also have small money boxes that members of the congregation can take home and put their loose change in - perhaps only pence, but the amount from all the boxes adds up to a worthwhile sum over the year.